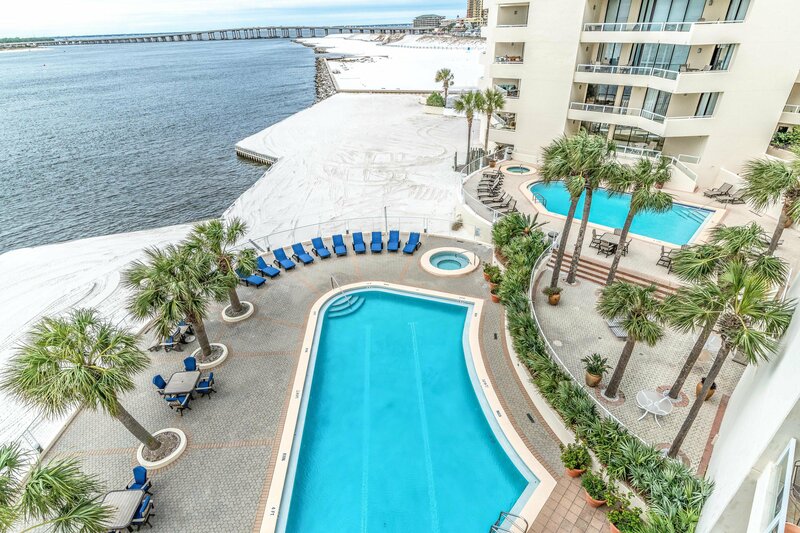 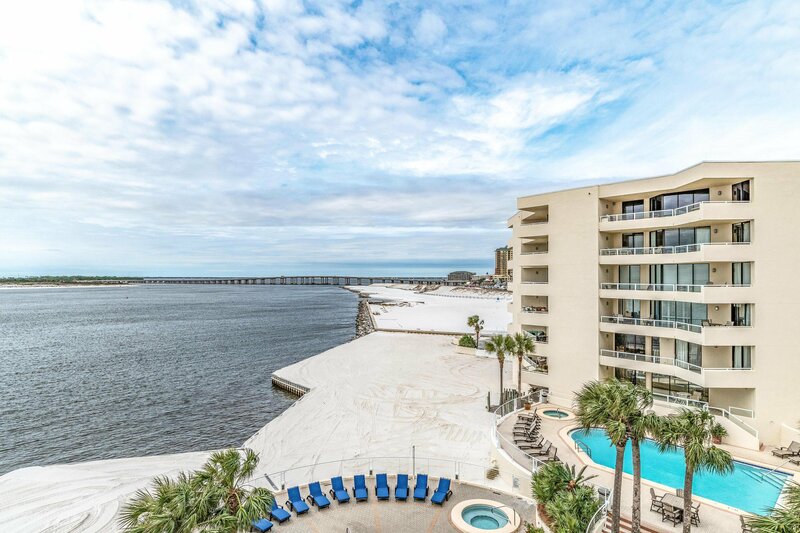 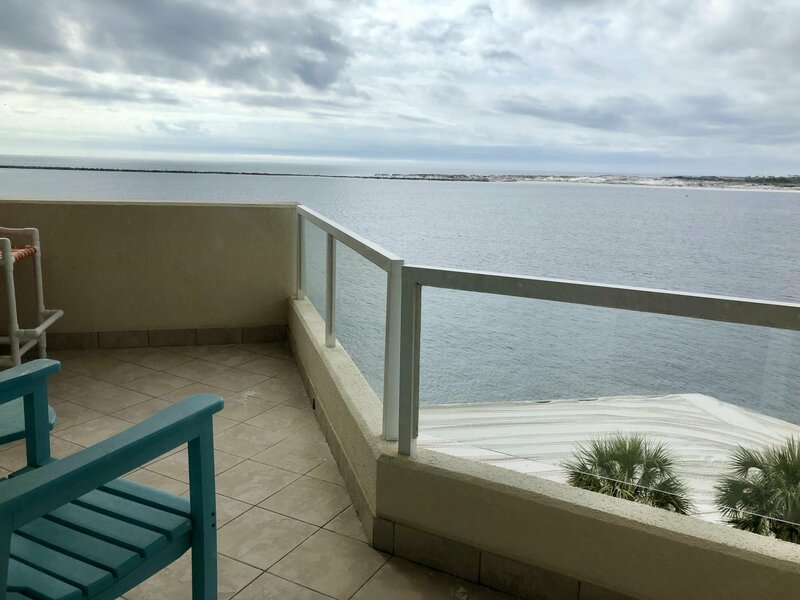 PANORAMIC VIEW of The East Pass, The Gulf, and the Destin Harbor! 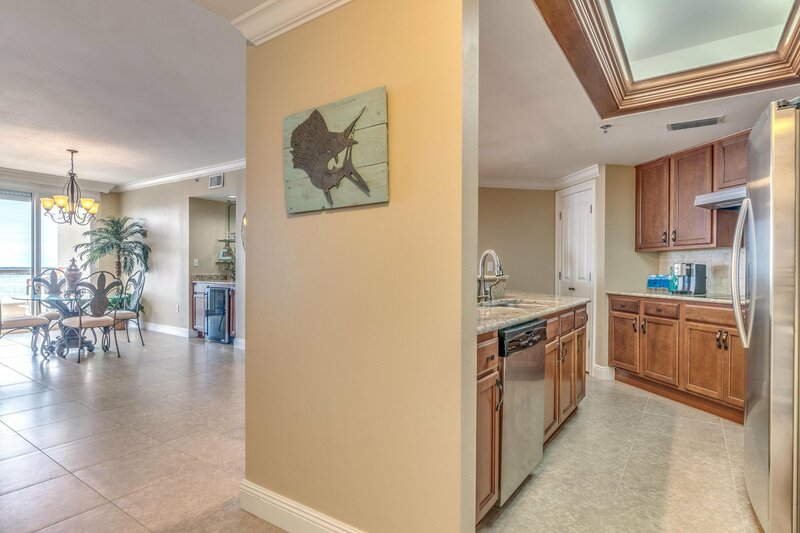 Gated community with assigned covered parking AND a storage unit! 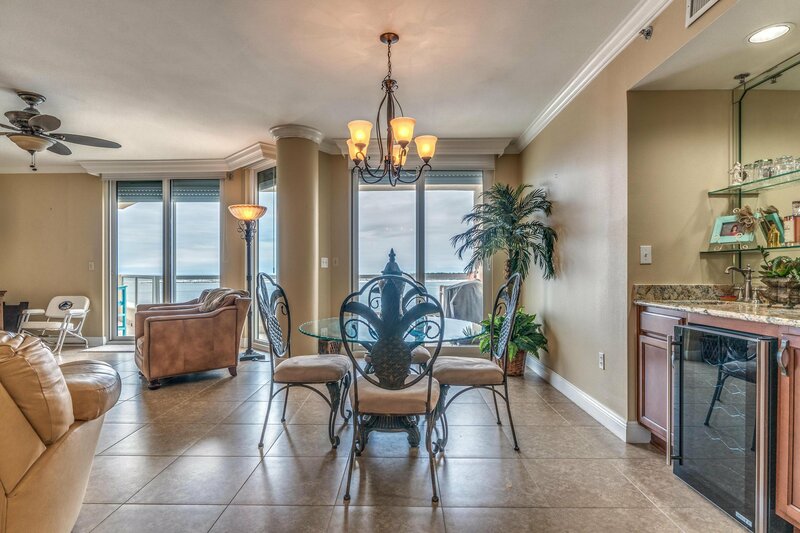 Front row seat for the Destin fireworks and unmatched sunset views! 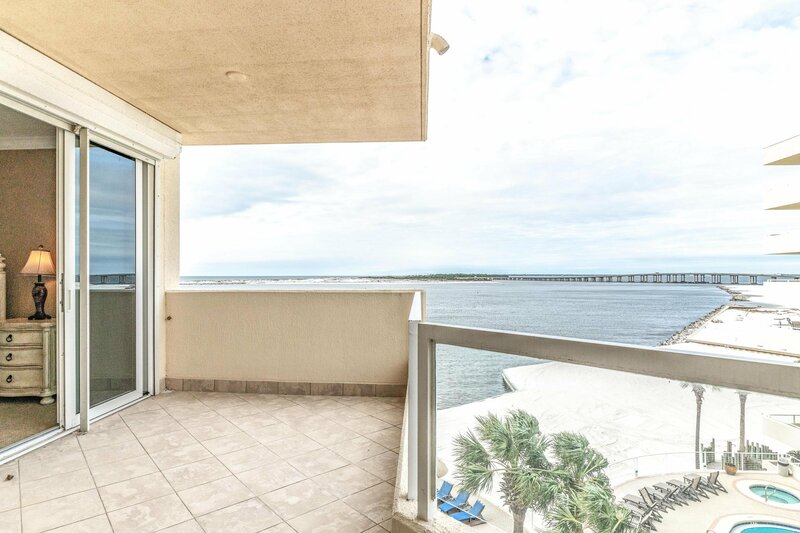 ALL 3 BEDROOMS have an awesome view! 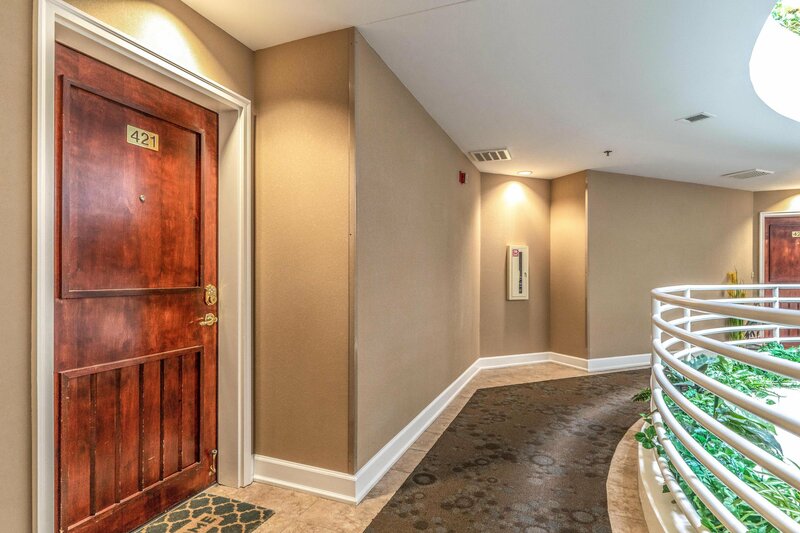 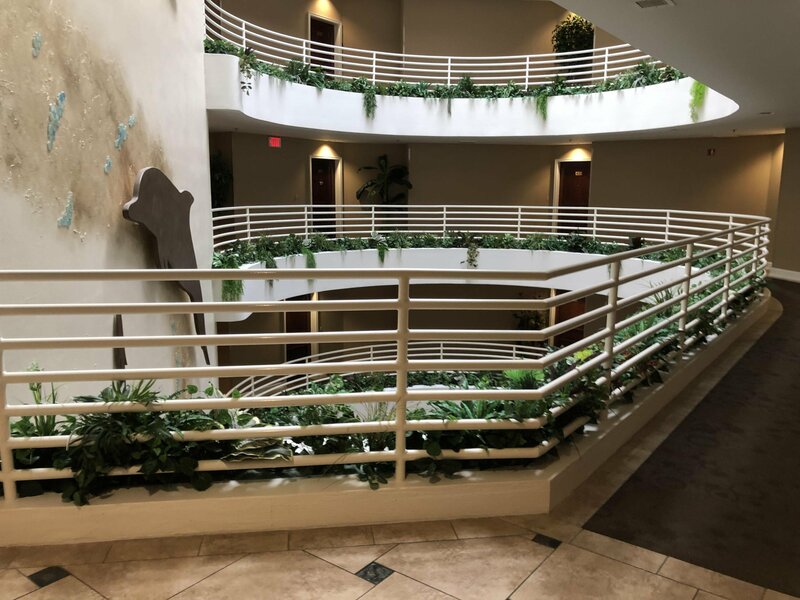 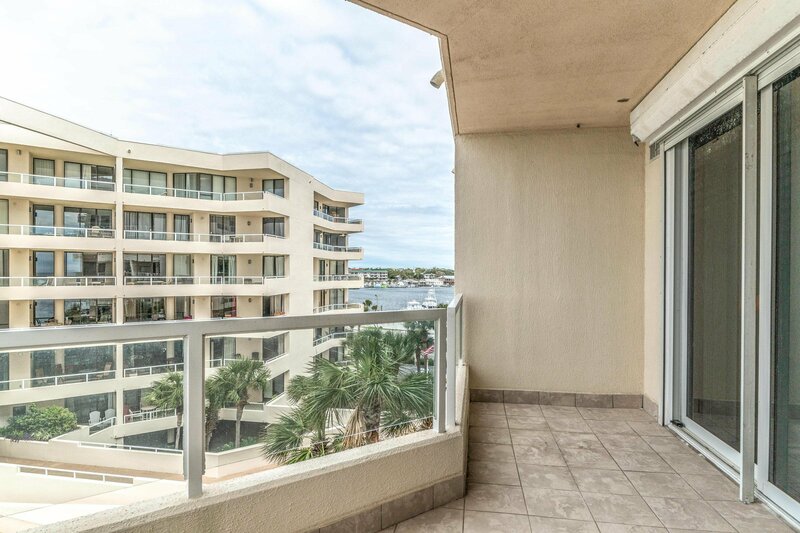 This spacious 3 bedroom 2 bath unit is the perfect primary residence or second home for the discriminating buyer who doesn't want to be in a ''rental building''. 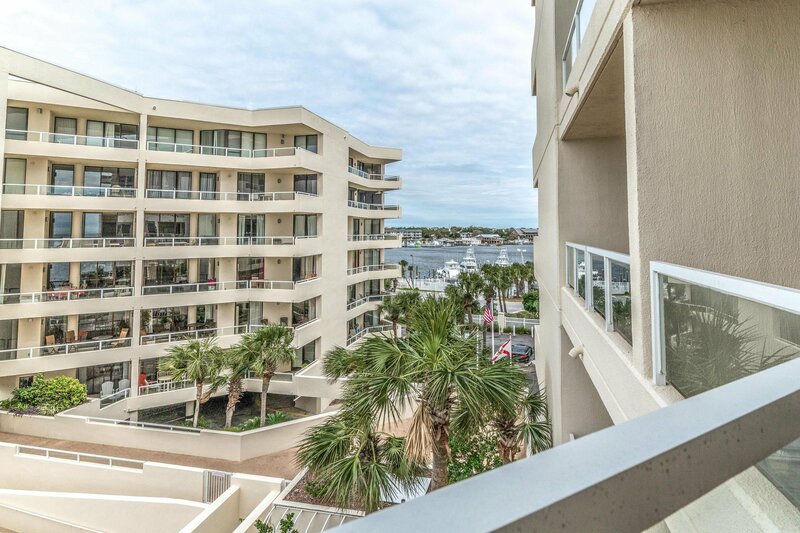 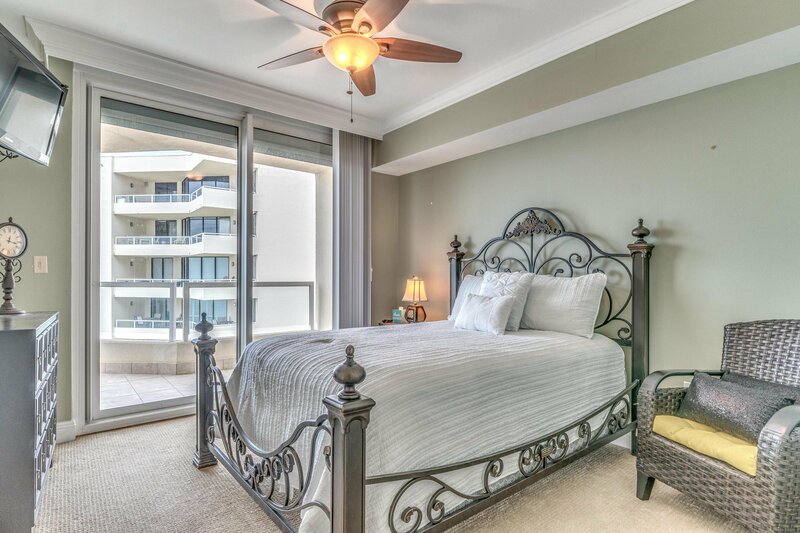 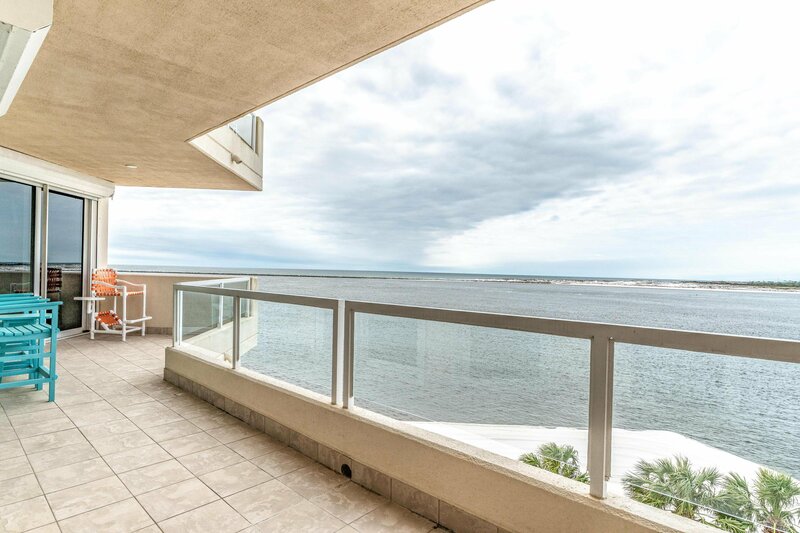 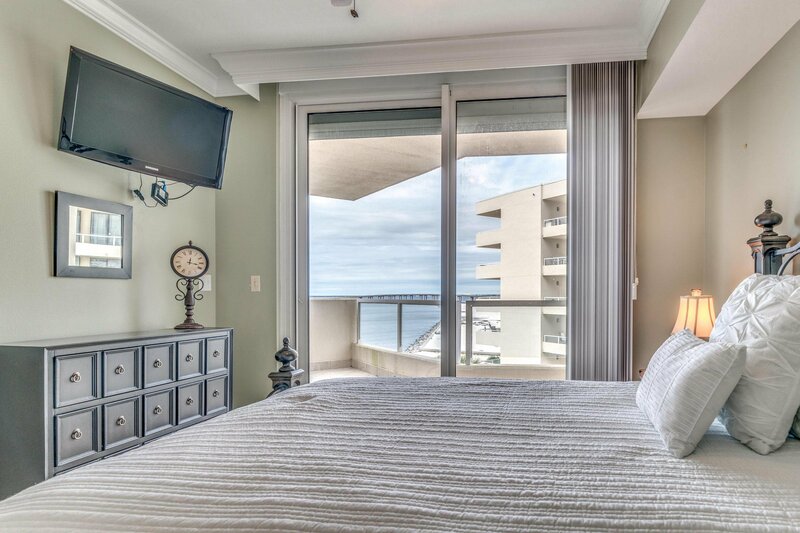 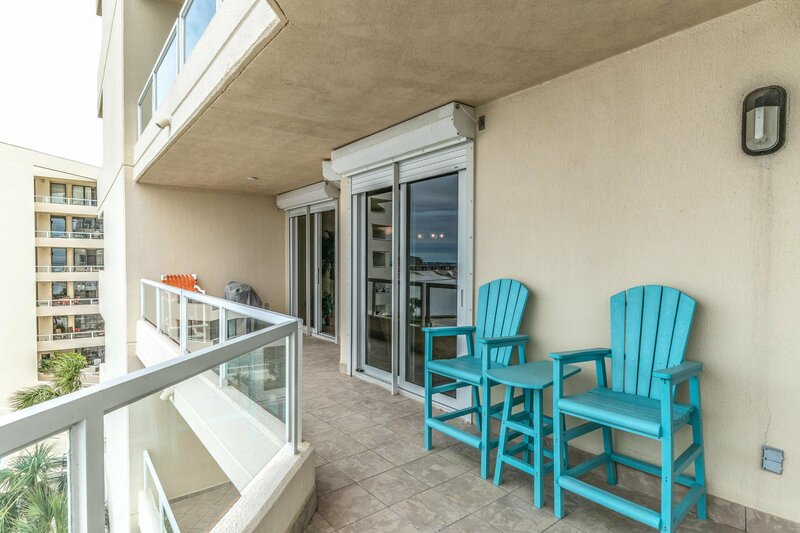 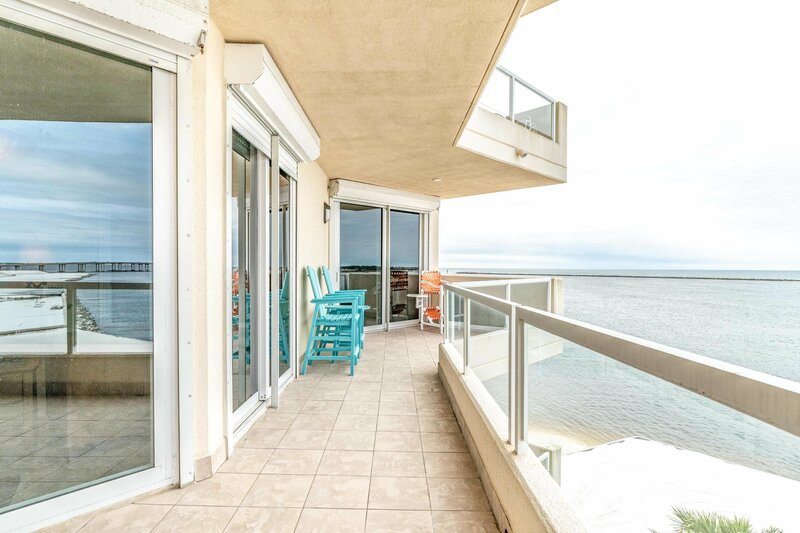 There are TWO private balconies equipped with high end motorized hurricane shutters! 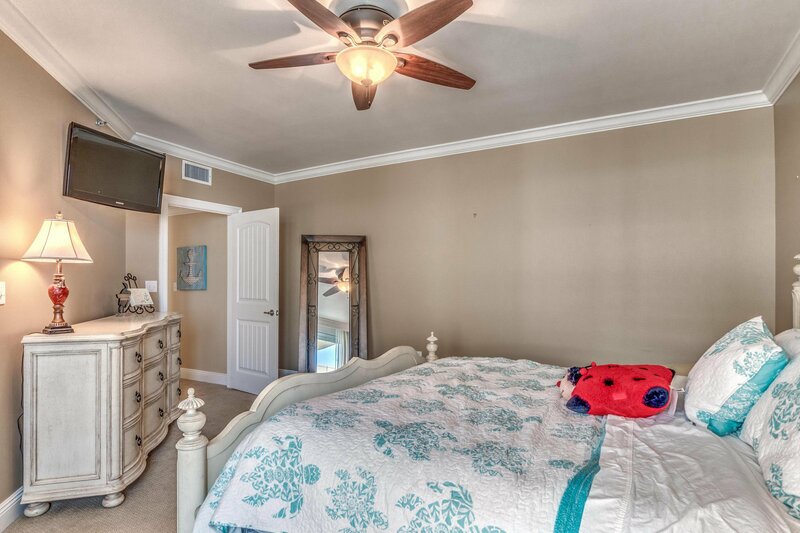 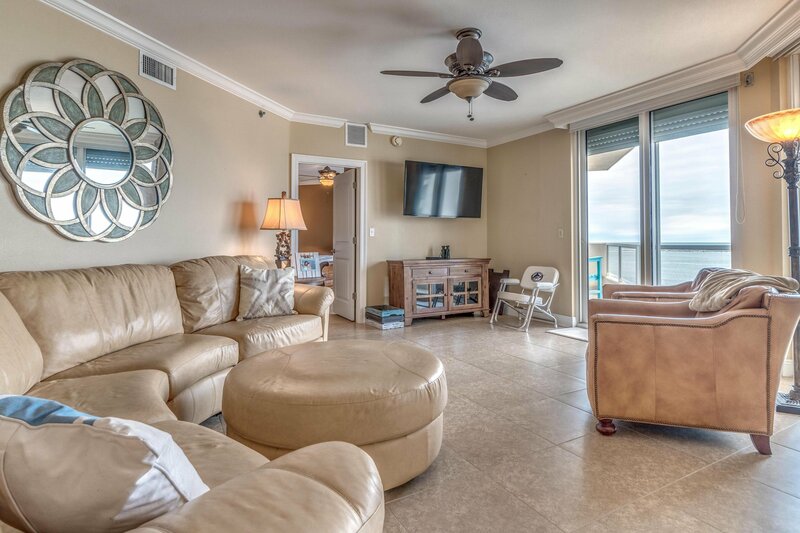 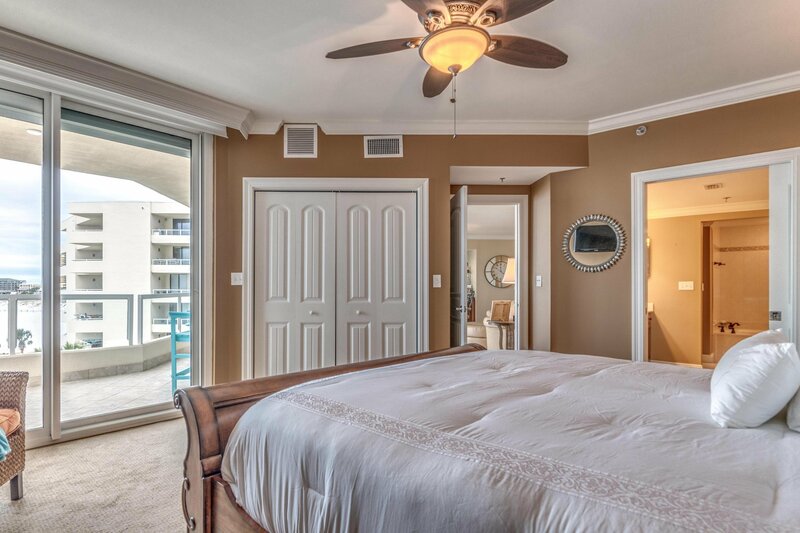 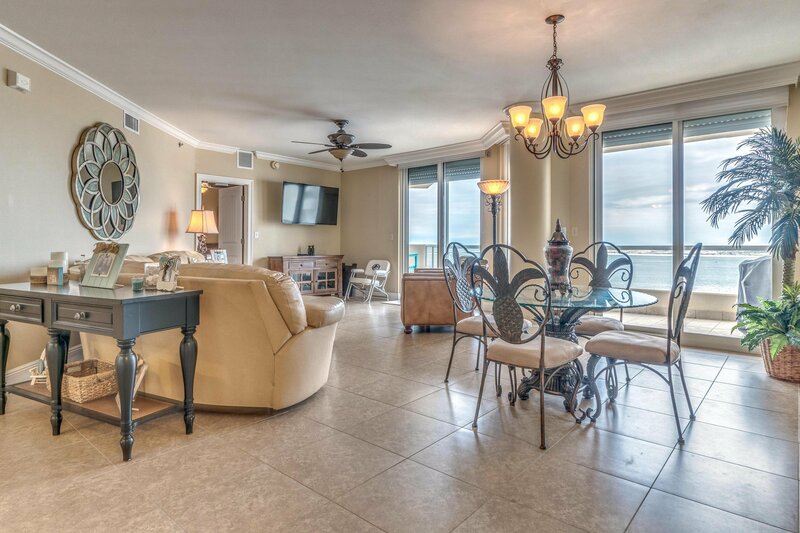 The open floor plan features a wall of windows that brings the beauty of the emerald emerald coast inside. 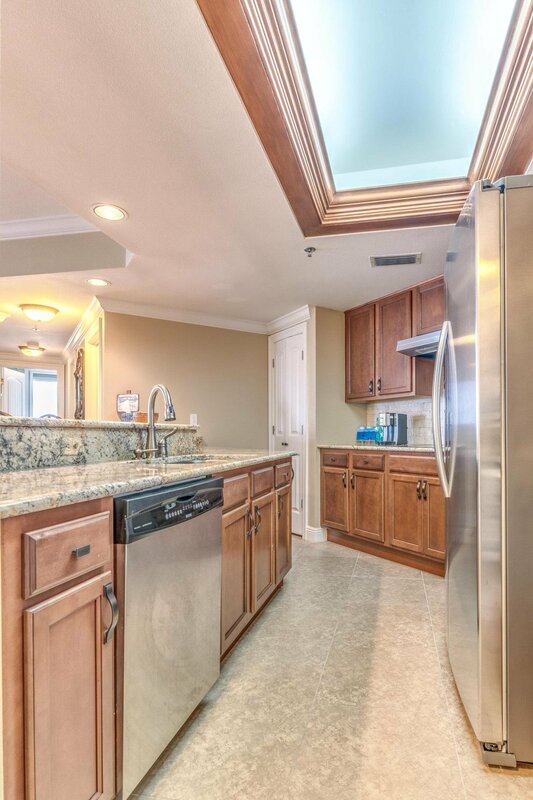 The large kitchen features custom cabinets, granite tops, stainless appliances, breakfast bar, and pantry. 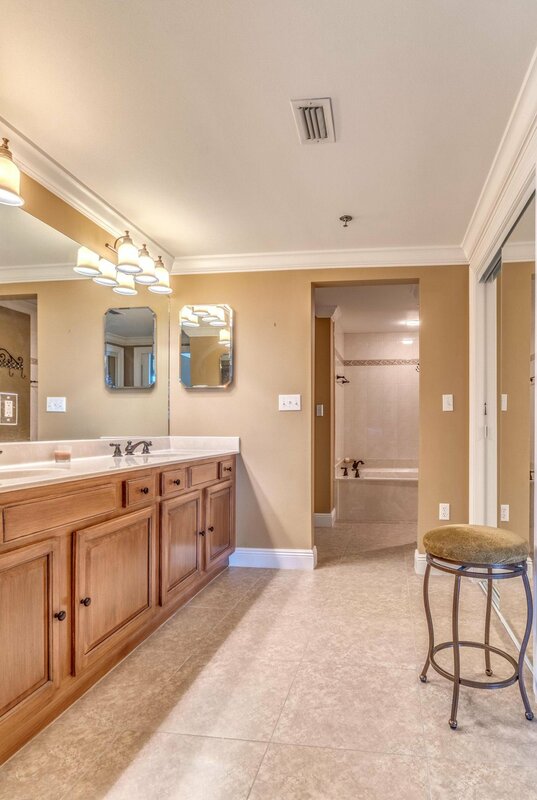 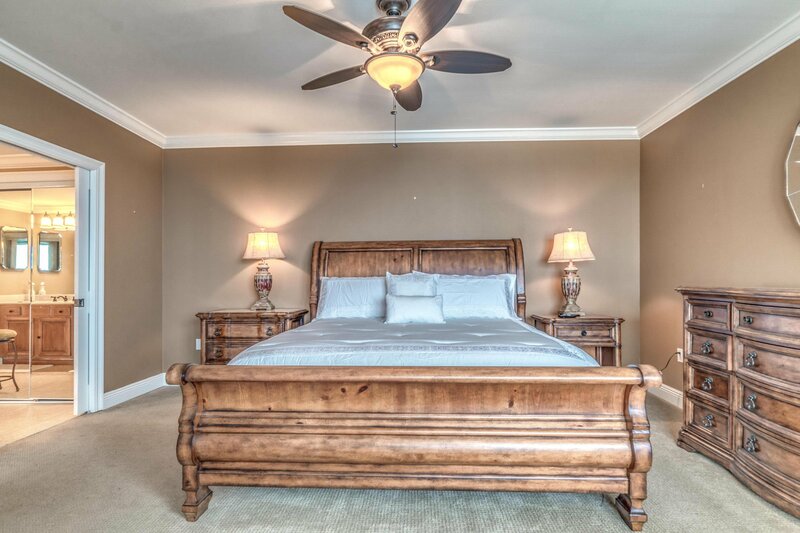 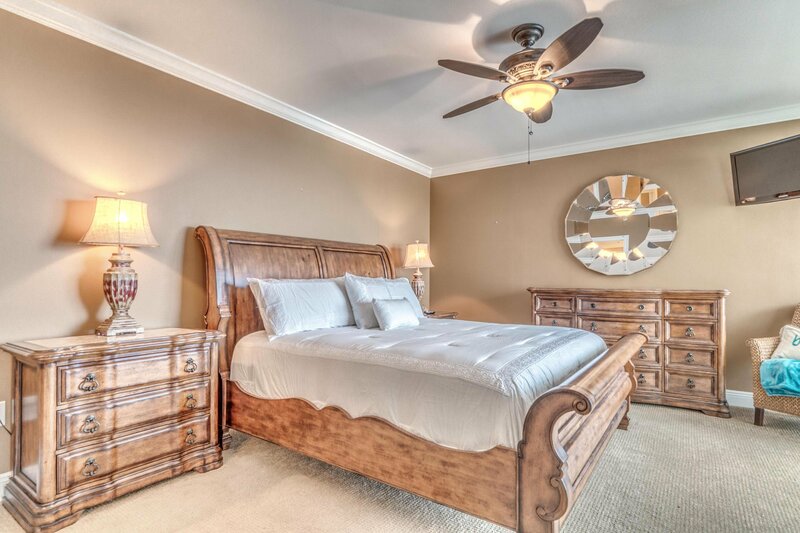 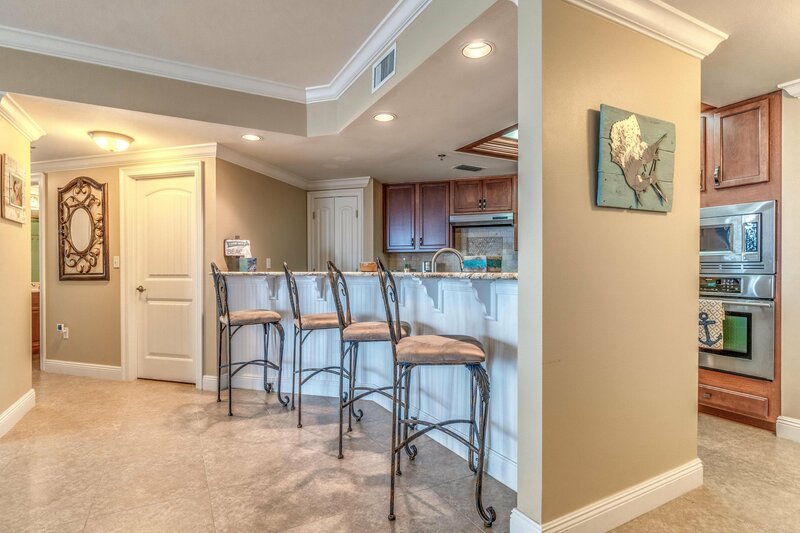 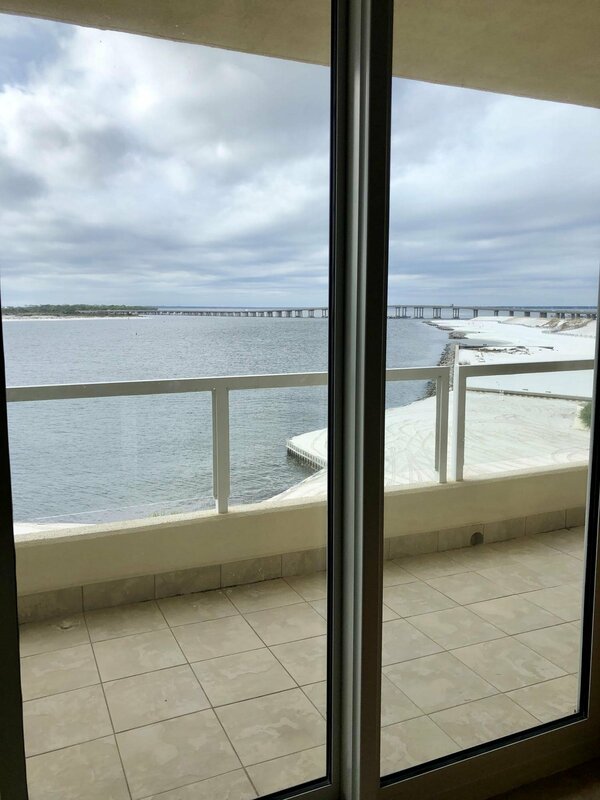 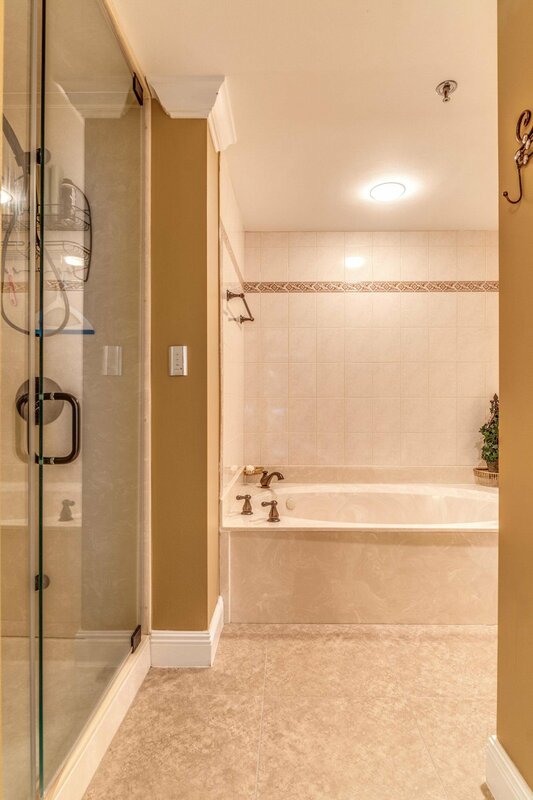 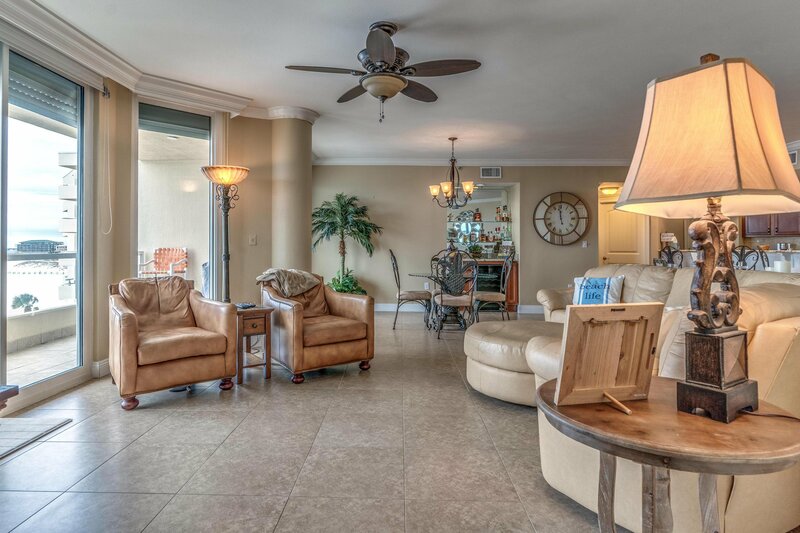 There is a separate wet bar, crown molding, tile floors in the main living areas, a washer/dryer, The complex features 24hr security and gated entry, state of the art fitness center, owners lounge, 2 pools, hot tub, private beach, marina, and is adjacent to the pristine Norriego Point Beach! 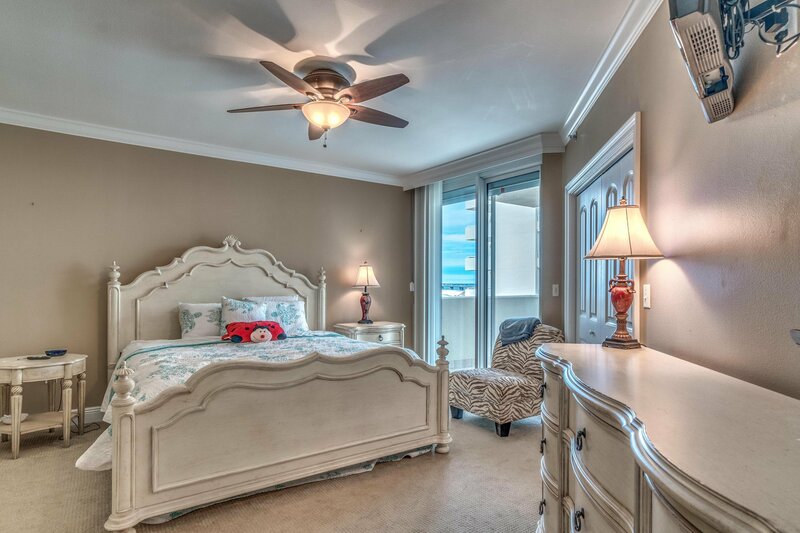 If you want luxury at the beach THIS is it! 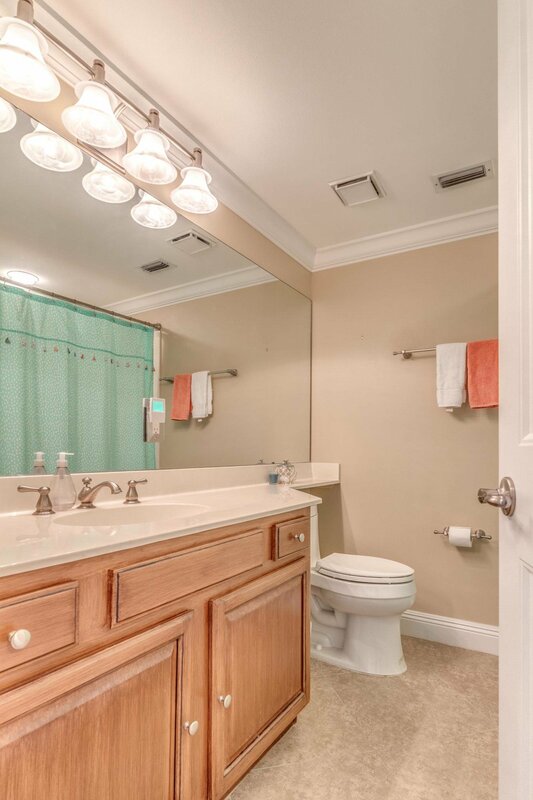 All views are not created equal, you must experience all that this unit offers. 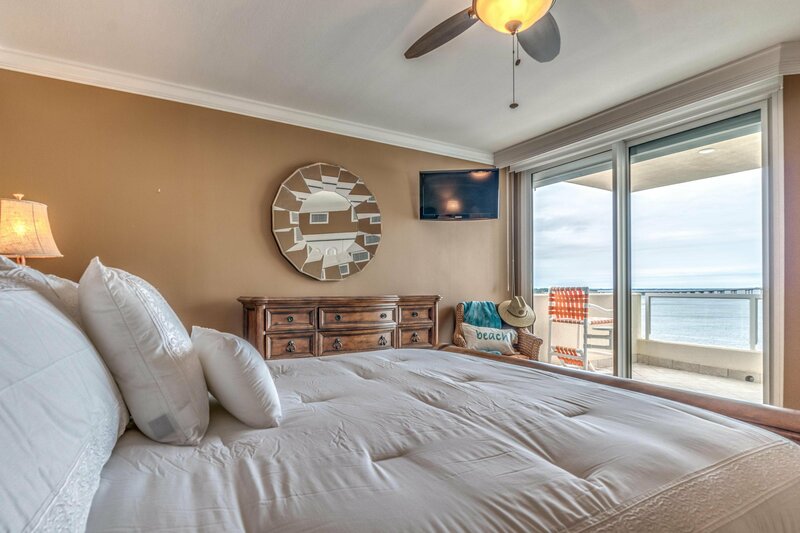 Treat yourself to a sunset showing and start packing your bags because you won't want to leave.